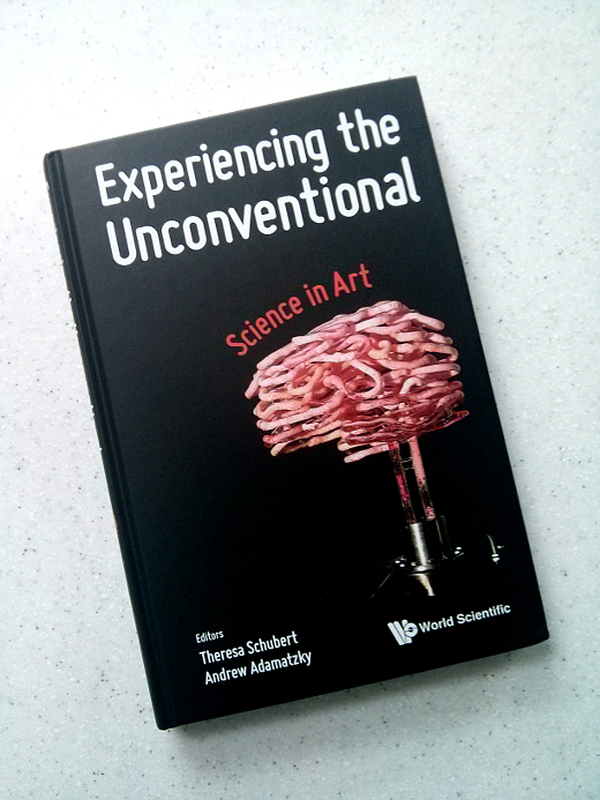 I’m delighted to announce the publication of two books on art and science to which I’ve contributed two different essays. These draw upon my recent doctoral research on corporeality and computation in sound performance. A multidimensional practice-based research which weaves together resources from cultural studies of the body, performing arts and human-computer interaction. In “Experiencing the Unconventional: Science in Art”, I propose and discuss the notion of “configuration” of human bodies and machines. I do so by linking philosophy of human individuation, body performativity and the use of sound to mediate human physiology with machine circuitry. Read the full article or buy the book. In the second book, “Meat, Metal and Code Contestable Chimeras – STELARC”, I examine the practice of pioneering body artist Stelarc. By comparing, through the lens of Deleuze philosophy of sensation, the bodies in Francis Bacon’s painting with those in Stelarc’s performances, I elaborate on the notions of fluid flesh and rhythmic skin that link their works. Full article can be read here, and the book is available at this page.